Mallory Square is arguably the center of Key West with all roads leading to its bustling plaza overlooking the Key West Harbor. This is where you’ll find El Meson de Pepe, serving authentic Cuban food day and night. It’s also where you’ll find a whole host of other exciting attractions nearby. After you’ve finished a plate of ropa vieja with black beans, yellow rice and sweet plantains and a mojito or two, here are a few things to do near Mallory Square. 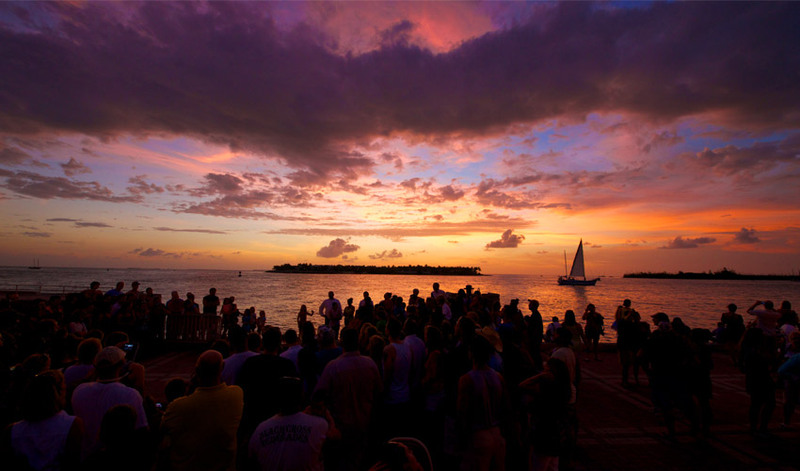 Mallory Square and its nightly Sunset Celebration are practically synonymous. Make your way towards Mallory Square an hour before sunset and stroll along the waterfront where street performers, high wire acts, magicians and musicians put on a show before the backdrop of Key West’s world famous sunset. You’ll also find vendors selling conch fritters and mojitos, as well as local craftspeople and artisans with their wares on display. The Key West Aquarium is located directly in Mallory Square and is where you can learn about Key West’s marine ecosystem up close and personal. You have the opportunity to touch such species as sea turtles, nurse sharks and stingrays. The exhibitions are engaging and informative, and a visit here is a must for nature lovers. Hop aboard the Conch Tour Train at its Mallory Square depot and get whisked away on a 90-minute tour across the island. You’ll learn all about the island’s quirky history, architecture and points of interest. The train’s friendly conductor, who also serves as tour guide, provides a great way to get a lay of the land. 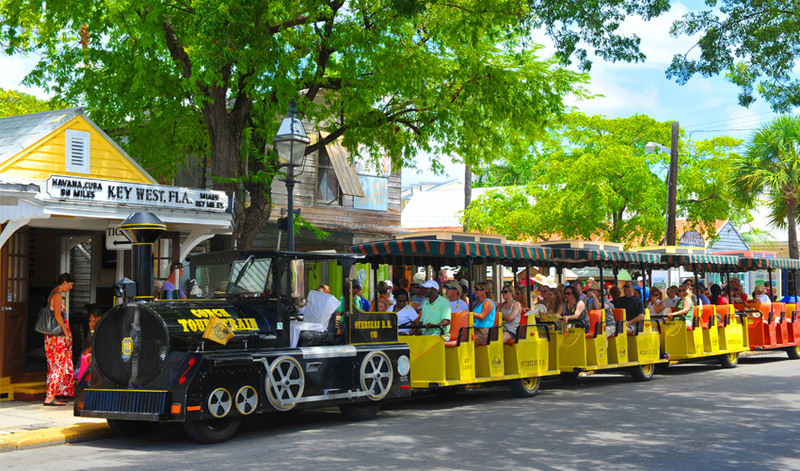 While sightseeing aboard the train, take note of which attractions and areas you’d like to revisit. The Westin Marina is right next to Mallory Square, home to a lovely promenade of upscale shops and water sports activities. Take a stroll through this area and enjoy the Key West breeze and tropical atmosphere. On the other side of Mallory Square is the Historic Seaport. This scenic walk offers a glimpse at Old Key West where you’ll find fishing skiffs, sailboats and mega yachts docked at the marina. You’ll also find iconic drinking establishments like Schooner Wharf and Conch Republic Seafood Company, as well as fine dining restaurants like A&B Lobster House. A small indoor, air-conditioned mall with both shops and vendor kiosks, Clinton Square Market is a great place for souvenir shopping right in Mallory Square. Here, you’ll find great gift ideas, like tanzanite jewelry, local art, baked goods, t-shirts and fashion. Bring home an authentic Key West gift for a loved one, or splurge on a local treasure for yourself. Key West has a fascinating history in the shipwrecking industry dating back to the 1850s. In fact, it was once the richest city in the United States per capita because of the treasures recovered from wrecked ships along the shallow reef. 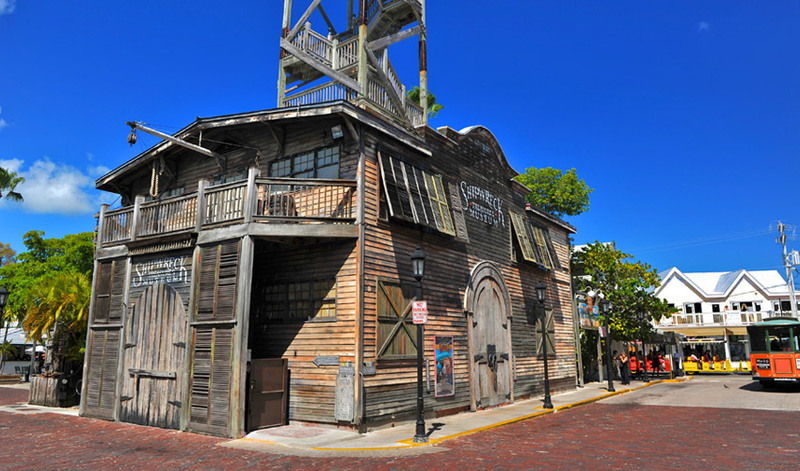 At the Key West Shipwreck Treasures Museum in Mallory Square, you’ll learn all about this exciting history through artifacts and exhibits. Treasure hunters and inquisitive minds alike will enjoy this attraction! Another lucrative industry in Key West’s early days was sponging and the sponge trade. At the Sponge Market in Mallory Square, you’ll enjoy a “historical” shopping experience featuring the onsite Museum of the Sponge Trade. You can also shop for a wide variety of natural sponges, nautical gifts, art, books and more. Be sure to look for the life-sized “Sponge Man” standing outside the entrance for a unique photo opportunity. You certainly can’t miss him! Home to the Key West Museum of Art & History, the Custom House is impossible to miss near Mallory Square because of its prominent, two-story red brick building. Here, you’ll find fascinating exhibits that illuminate the history and lore surrounding Key West. With both permanent and rotating exhibits, highlights include wood paintings of Old Key West by Mario Sanchez and the current exhibit about the history of Key West bars, featuring a replica of the Green Parrot’s façade.